"Raam Nam so hi jaaniye jo ramta sakal jahan ghut ghut me jo ram raha usko Raam Pechchan" Bhakti is manifested in Eleven forms of attachment, as per Bhakti Sutra by Devarshi Narada. Ram Bhakti is aatma-nivedana Shakti-Surrendering one's whole self like Hanumanji did. Tulsidas did with his writing. 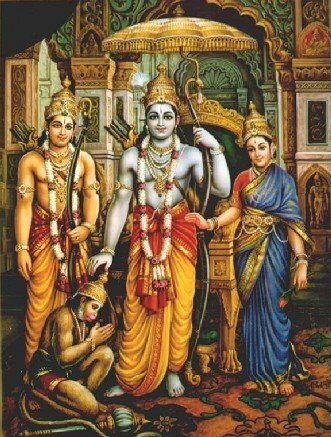 "Rama, I have no special abilities, I dont practise Yoga, I`m unable to meditate, I have no possessions...I have only love to offer to you, so please guide me to shore with only my love for you.." This is intense theme of saranagati or surrender to the absolute, like Hanuman's Dasa bhava to Rama. Ramcharitmanas is an underlying Vaishnava tenet ofrself-surrender as a means of self-realisation. 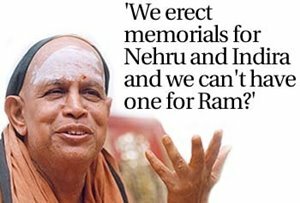 Sant Tulsidas wrote in Ayodhyha kand narrative of Ramayana "Those who dont have ego,wickedness and greed in those heart Lord Shri Ram choose his abode."